Plugin that simply saves You time. Log in, edit and manage time on projects through Redmine timesheet plugin - its easy, fast and efficient! 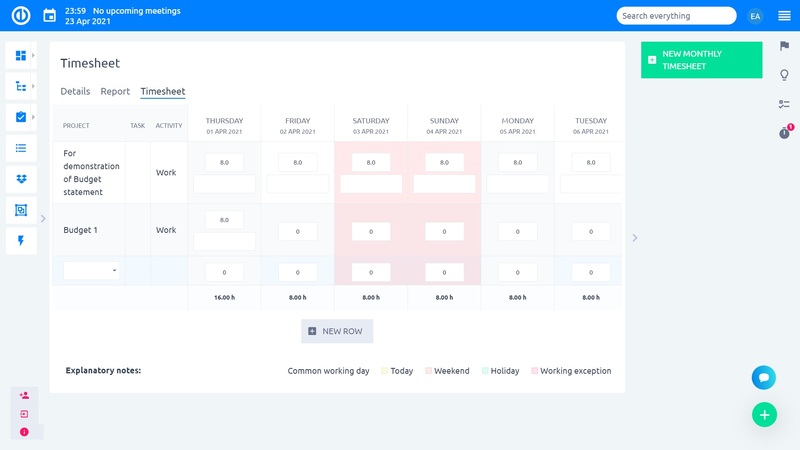 The power of Redmine Timesheet plugin lies in a possibility of batch logging, editing and managing time entries. Do all at once and thus significantly improve project management efficiency! 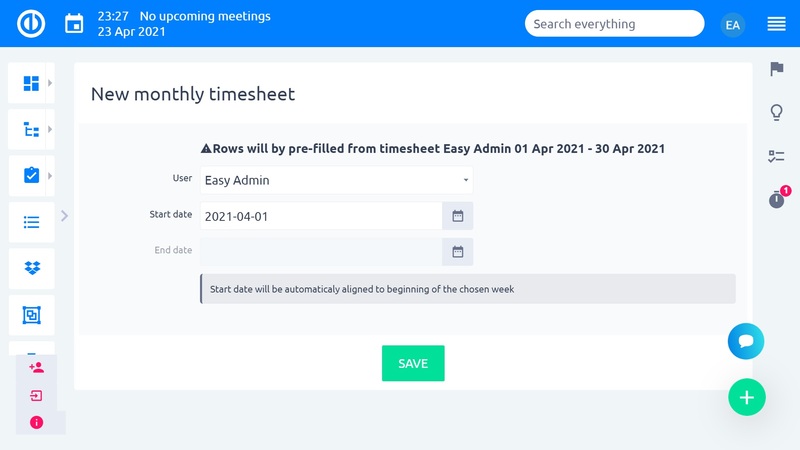 Explore Timesheet plugin in Easy Redmine 2018 free trial. When Redmine Timesheet is ready, it can be locked and sent to managers for approval. Therefore, managers can have an overview of spent time of subordinate workers. This can easily streamline the whole approval process in your time management. 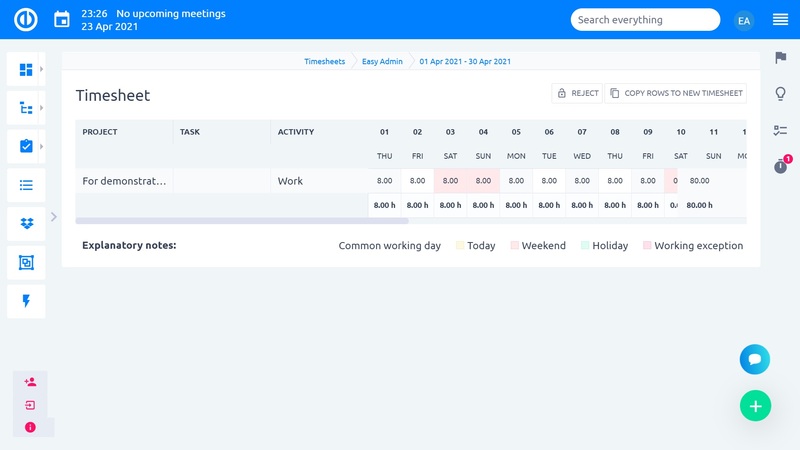 Get instant insight into the time spending thanks to the weekly overview tables; or easily create Redmine Timesheets for advanced exports. Export can serve as resources for your billing or invoicing. Currently available export formats: CSV, XLSX, PDF.